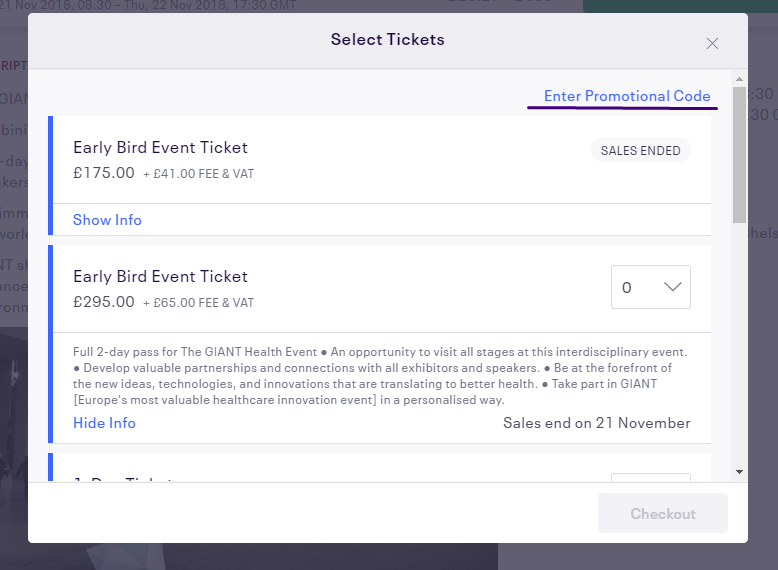 Summary: Join thousands of passionate innovators at Europe's greatest festival of health tech innovation. The Global Innovation and New Technology Health Event showcases leading health tech from around the world and is accelerating innovation in an inspiring and creative environment. Description: Be inspired by ideas from outside health, including aerospace, sport, financial and entertainment industries, that are using technology to deliver more value and better experiences. AMEE Members receive a 30% Discount off the ticket price. Please see attached image for details on how to add your free promotional code.